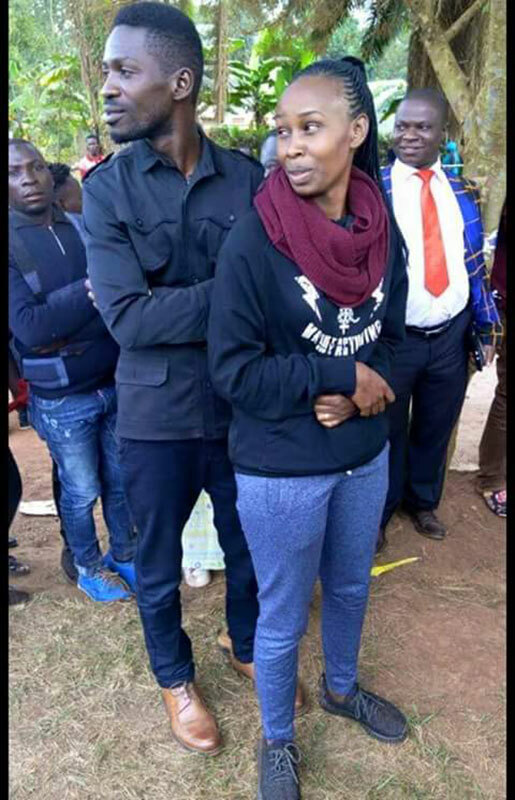 Bobi and Barbie Wine line up to vote. KYADDONDO — Newly-elected MP Robert Kyagulanyi popularly known as Bobi Wine, is learning the lemons of politics and is a disappointed man in a very sour mood, whining bitterly over being denied opportunity to speak at a function in his constituency. The musician-turned-politician says he was invited for a function at Gayaza Junior School as the school celebrated 106 years of existence. He arrived at the function as early as 10am. But despite having been at the function for over 5 hours, he wasn’t allowed to speak. “I was denied opportunity to speak at an important function in the heart of Kyadondo East! I was at the function from 10am to 3pm (5hrs) and as protocol was being ‘observed’, many of the guests who were invited but didn’t show up had their representatives speak on their behalf. Just at the point when the area M.P. was to be invited to welcome the Guest of Honour, the C.A.O’s representative was instead invited to perform that role,” says Bobi Wine. He left immediately after the Chief Guest, Katikiro Peter Mayiga’s speech. On reports of him declining to cut the cake with Mayiga, he says by the time he was called forward, he had already left and he is not a ceremonial MP that his role is to simply cut cakes.